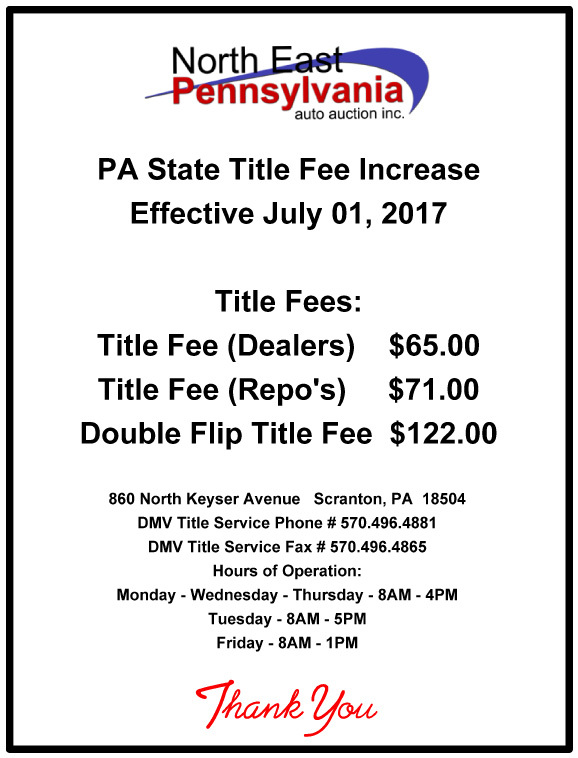 Our title service has printed thousands of dealer titles, maybe we can save you money! Tuesday - (Sale Day) 8:00 A.M. TO 5:00 P.M.
A government issued drivers license or photo I.D. card, along with your dealer registration card or summary card. 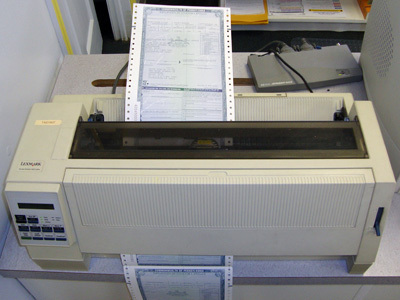 These credentials will be photocopied, and made part of your applications, each time you have the work processed at the N.E.P.A. D.M.V. office. 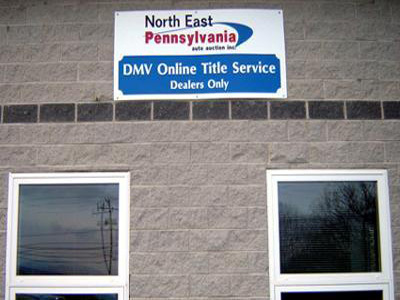 Each title must be accomanied by a check made payable to North East Pennsylvania Auto Auction. Call (570)496-4881 with any questions.